I’m pretty sure I heard the Prayers, Lene Lovich, ESG and Golden Earring songs at Rory Lake Presents: Karaoke Dreams, in between singers. This month is 21% Rory Lake influenced. Somehow I missed The Weeknd’s Daft Punk collaboration, “I Feel It Coming” until I saw them perform together on the Grammy’s. My friend, Katie turned me on to TeamMate. Photo: I designed a big U.S. Pizza Museum exhibit, “I Love Pizza” at the Niles Public Library. 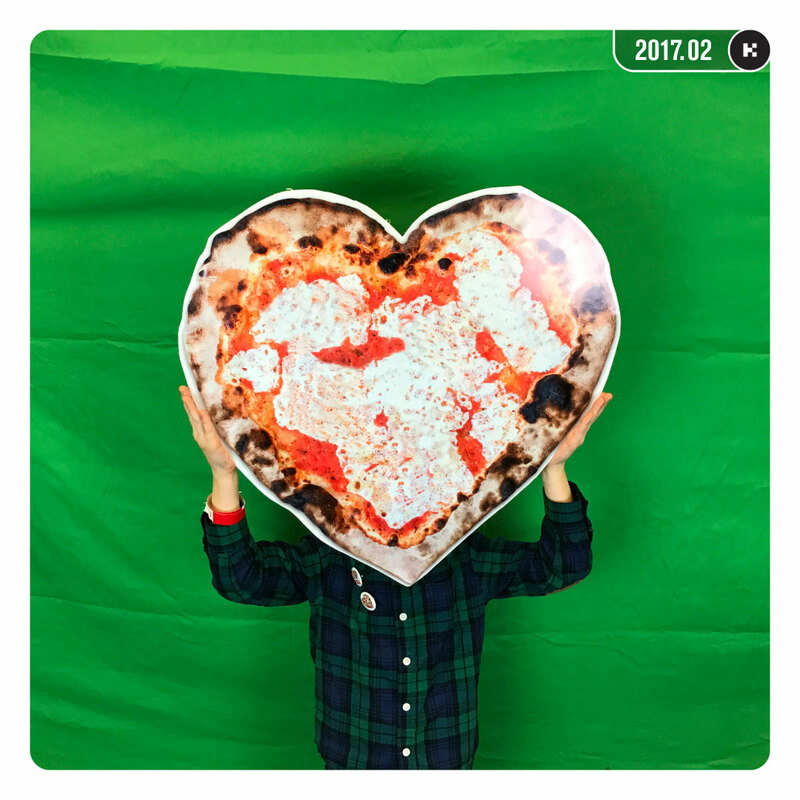 At the opening on February 3, they had a photo booth featuring some pizza props including this one of a Coalfire heart pizza that I shot at as a promotional image. Photographed February 3, 2017.